The brand-new, next-generation, single-pass EFI Reggiani BOLT textile digital printer from Electronics For Imaging, Inc. made its debut this week during an open house event at the EFI Reggiani facility in Bergamo, Italy. The advanced, ultra-high-speed digital single-pass printer has the potential to revolutionize the textile printing market, providing users with high uptime and reliability, outstanding performance, superior printing uniformity and accuracy, long printhead life and minimal maintenance needs. The EFI Reggiani open house has created huge interest in global textile market opportunities, with nearly 300 customers and journalists attending to see the new BOLT in action. The Reggiani BOLT is a Fiery Driven™ printer, featuring an EFI Fiery DFE with RIP and color management technologies running on Fiery XB bladed hardware for maximum performance. Fiery technologies for the printer give textile printing businesses the ability to successfully produce highly challenging jobs with the finest detail, demanding colors, smooth gradients and more. EFI color scientists developed special algorithms and custom screening for this Fiery system to deliver vivid print results, including high saturation without losing detail, and superior color even when using the fastest print mode. Fiery technologies for the new Reggiani BOLT printer also will include a 1-year subscription to EFI Fiery DesignPro, a powerful textile and fashion design suite that runs inside designers’ Adobe® Creative Cloud® applications. Fiery DesignPro reduces the time needed to create color books, repeats, colorways and prepare files for production to minutes instead of hours. 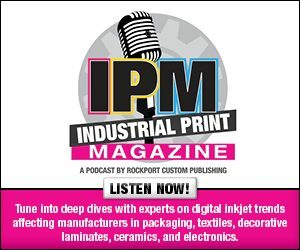 Together, the new Reggiani BOLT single-pass printer and Fiery technologies address key market trends as customers face pressure for faster time-to-market, quick fashion cycles, shorter print runs and more customization.